Snow date To Be Announced. Updates on the website in case of bad weather. This winter excursion, led by former Renfrew Institute staff member and naturalist, Lori Schlosser, is for participants aged 15 and up. The activity is free (donations accepted), but registration is required and limited to 60. Spaces fill up quickly for this popular event, so anyone wishing to join the walk should register soon. For more information or to register, call the institute at 717-762-0373 or email to: info@renfrewinstitute.org. 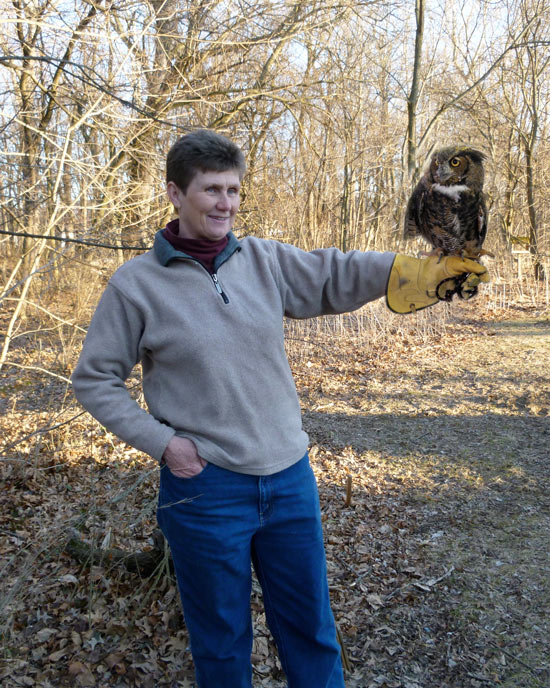 Just before the walk, Schlosser will present a brief introduction to owls and a preview of various owl calls at Renfrew’s visitors center. Schlosser will then lead the group along trails in the park. During several stops, the group will pause and call various owls, including the great horned owl, the barred owl and the screech owl. Patience is required when trying to call owls. “If the calls are too loud, you can scare them off,” Schlosser said. Participants must stand quietly for short periods of time to watch for owl flight and listen for owl reply calls. Those attending should dress appropriately for the weather, as the walk may last up to an hour. Flashlights are permitted; however, participants will be asked to turn them off during the walk to allow their eyes to adjust to the darkness.